The Prostate Health Education Network (PHEN) is expanding its prostate cancer education and awareness efforts within Florida, with the support of two prominent religious leaders— Bishop Rudolph McKissick, Jr., Senior Pastor, Bethel Baptist Institutional Church, in Jacksonville and Bishop Adam J Richardson, Jr., Prelate of the Eleventh Episcopal District of the AME Church (includes Florida and the Bahamas). Both Bishops McKissick and Richardson are supporting PHEN’s upcoming showing of the Broadway-style stage play “Daddy’s Boys,” which educates through entertainment and will show at Bethel Baptist Church, Jacksonville, on April 13, 2019, at 4:00 pm. PHEN is also teaming up with partners AARP Jacksonville and Health Jacksonville’s Men’s Coalition for this event, which includes an educational workshop prior to the play, and begins with lunch at 12:00 p.m. The play and workshop are FREE to all attendees and both women and men are invited to attend. “Bethel Baptist is honored to host Daddy’s Boys, to help educate and inform viewers about the realities of prostate cancer within the African American community, and to mobilize action in the fight against this disease,” said Bishop McKissick. Bethel Baptist is a Florida Megachurch, with membership exceeding 14,000 and it is the oldest existing Baptist church in the state. “Daddy’s Boys” uses a highly entertaining infotainment approach to tell the story about a widowed father and his sons, who are in a fractured relationship, coming together when faced with prostate cancer. The play is the latest health-oriented presentation by award winning playwright Garrett Davis, who uses humor and music-laden dramas to bring awareness to major health issues facing minorities. “AME churches in Florida and across the country are working with PHEN to raise prostate health knowledge within their communities, and the Eleventh District is pleased to support this creative new effort with the stage play and other PHEN programs in every way that we can,” said Bishop Richardson, who has 400 churches under his leadership. PHEN has been active in the Jacksonville community with educational symposiums at Greater Grant Memorial AME Church over the past three years. 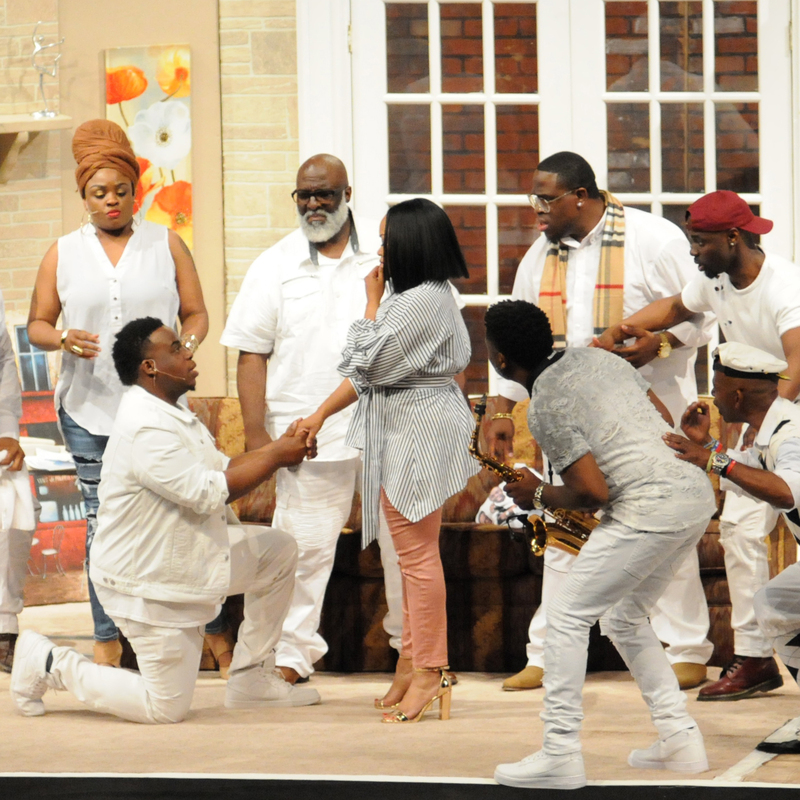 The play has received outstanding reviews and feedback from sold-out audiences in Atlanta, Georgia; Philadelphia, Pennsylvania; Glendale, Maryland; Richmond, Virginia; Detroit, Michigan; Greensboro, Fayetteville and Winston-Salem, North Carolina. PHEN is touring Daddy’s Boys nationally with the support of partners including Amgen, Astellas, Bayer, Pfizer Oncology and Janssen Oncology, Genomic Health and Myriad. The nonprofit works with its network of church partners to host and promote the play within their communities. Historically Black Colleges and Universities (HBCUs) and other partners including AARP are also joining in PHEN’s efforts to raise prostate cancer awareness. The performances are free of charge to the public with tickets made available online and through PHEN community partners. More information and tickets are available at www.daddysboys.org Churches and other organizations that may be interested in hosting “Daddy’s Boys” should email PHEN at rapcancer@prostatehealthed.org.